It is a drug extracted from a neurotoxin produced by bacteria, Clostridium botulinum. It's the same toxin that causes a dangerous type of food poisoning known as botulism. However, medical use at therapeutic doses it does not involve such danger. Ophthalmologists were the first professionals to implement its use. The neurotoxin acts by preventing the release of acetylcholine at the neuromuscular junction, causing a temporary and reversible denervation of the muscles that are injected or eccrine glands. What is the effect on the muscles? It paralyzes the muscles producing relaxation temporarily. It acts inhibiting eccrine sweat glands. The effect begins at 5-7 days and lasts for 4-6 months during which its action cannot be countered. The list of indications is continuously growing. What are the differences between Botox, Vistabel, Dysport, and Neurobloc? All have the same molecule but generally speaking we use the term Botox to encompass all of them, since this was the first commercially available preparation. Vistabel: its use is merely cosmetic. Neurobloc: its use is only in torticollis. Disport Botox and can be used for other conditions. 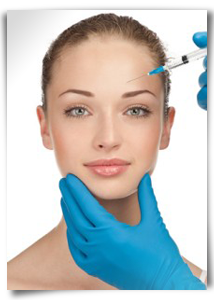 In any case, Botox is also used in cosmetic procedures. These drugs can only be obtained through hospital pharmacies. It is applied through injections, no creams, pills or drops. In the periocular region 30G needles are used, which are slightly thinner than the thickness of a hair. Generally 0.1 cc is injected. in each puncture. We must never exceed more than one vial of 100U in three months. The number of injections is variable: 5-6 in crow's feet, frown and variable 5-6 in front 10-30. The process takes 10-15 minutes. What professionals can apply Botox? Its use is restricted to competent medical professionals. Any trained ophthalmologist is qualified to inject Botox. Your oculoplastic surgeon has sufficient expertise to deal with any process involving Botox administration. Are there any contraindications or interactions? Interactions: May interact with some aminoglycoside antibiotics, enhancing the action of Botox. In patients taking quinolones, D-penicillamine or cyclosporine Botox effect may be counteracted. Contraindications: Not recommended for use in Myasthenia Gravis. Not recommended in pregnancy (although its effects are not clear), albumim allergy. Botox treatment improves facial appearance and relieves periorbital wrinkles, especially crow's feet, brow and forehead. We can raise the eyebrows if we wish to apply the punctures in the inferior part of the tail. Does it work on all the wrinkles? Botox works on dynamic wrinkles, those produced by movements. It is less effective on deep and static wrinkles, where fillers are your best choice. Nor is it effective in very fine wrinkles that appear below the lower eyelid or the scallops (large wrinkles and folds that may appear on the lower eyelid due to aging). Does it hurt when applied? Although some anesthetic creams may be applied, it is generally a painless procedure which requires no anesthesia. It may produce temporary ptosis that can last 4-6 months. Occasionally a small bruise may appear at the injection site. It does not affect vision. It can also cause muscle weakness, fatigue, dysphagia, or pneumonia, in those cases in which infiltrates large muscle groups, not the eyelids. The effects are temporary and dependent on each patient. It is related to the dose. Its duration is usually 4 to 6 months. How many times I can get Botox? Botox can be repeatedly throughout life. Response time is individual and there are patients who develop tolerante, in which case each time the effect is smaller. Others, however, have more lasting effects. Reintervention is assessed 2-3 weeks afterwards. Patients follow a protocol where the total number of injections and injection sites are documented. They must sign a consent form..